Surf's up! Grab a beach ball and your sunnies, it's time to hit the beach! This pastel design Beach Vibes by Nicole M draws inspiration from vintage style and reminds us of a happy childhood playing in the sun. 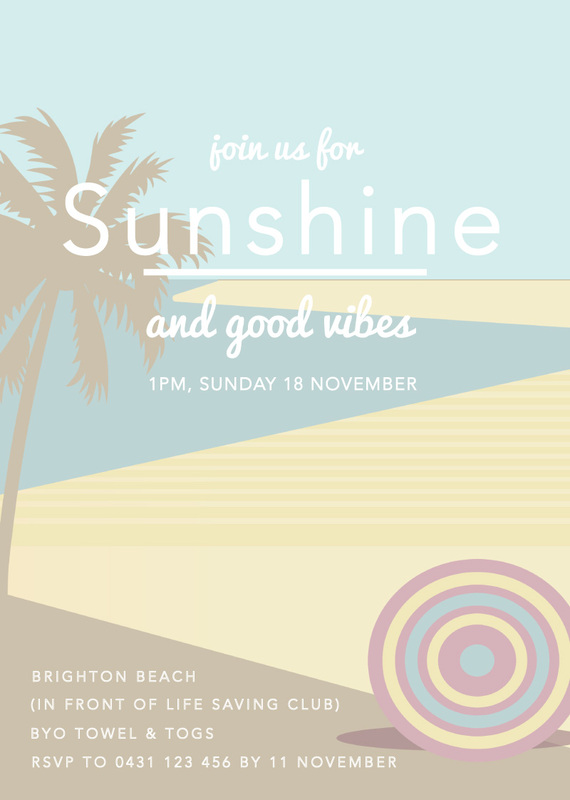 You and your friends could even dress up boho style with this beach costume party invitation to take the fun to the next level!